We were commissioned by East Sussex County Council, Rother District Council & Hastings Borough Council to support their project to create the 600-hectare Combe Valley Countryside Park. We delivered an award-winning community engagement exercise to get people involved and find out what they wanted – backed by a strong media relations campaign – with an emphasis throughout on engaging young people & the hard to reach. The Park is now being developed. We followed this activity with a detailed report summarising the activity we’d undertaken and the themes of all the views, ideas and concerns raised. Our engagement exercise provided an extremely clear picture of the community’s views for the development team to consider in planning the countryside park. It demonstrated support for the project from 76% of local people overall – 97% in some areas. The exercise showed most people regarded nature conservation as the park’s most important purpose. It revealed the most popular activities amongst the over 30s were wildlife watching (cited by 80%) and walking (63%), while young people wanted sports and play facilities. Cycling, riding and water activities were the most popular sports people wanted to see. It also highlighted concerns – such as the impact on the tranquility of nearby villages – which the development team was able to address through changes to the proposals. Throughout the process, the community was kept informed via 33 pieces of positive media coverage including a six-minute slot on ITV news. The Countryside Park is now being developed, including proposals for the Combe Valley Sports Village scheme (pictured below) which, it goes ahead, will be the largest sports-related development the area will have ever seen. We’re proud that our project won a national Excellence in Local Government award for Best UK Consultation. 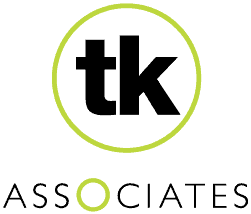 “TK Associates ran a first-class consultation for us and I’d strongly recommend them to anyone looking for a highly professional communications firm. Their seven-month exercise was designed to underpin our development of Combe Valley Countryside Park and their work went on to win a national award. The team was efficient, responsive, enthusiastic and quality-focused. All members displayed a knowledgeable approach and stayed keenly aware of the project’s objectives. They were proactive and demonstrated excellent professionalism throughout. The consultation activity amongst young people, which is usually especially challenging, was particularly effective and fun for all involved. Of great importance was our excellent working relationship throughout the project and the quality of the feedback given to consultees.